What is currently the Mercato Nuovo has been a market since the 11th century, though the building you see today was built between the years 1547 and 1551 by the architect Giovanni Battista del Tasso. Originally jewels, gold and silk were sold here, though it soon became known as the "straw market" due to the multitude of articles made of straw that farmers began to sell. Even today a variety wide of wickerwork, hats and even furniture and decorative items made from this material can be found here. However, tourists also flock here for souvenirs, leather clothes and T-shirts. And if you drop in towards closing time late or on the weekend you are likely to be serenaded by lively buskers. Furthermore, in a corner of the market you will find the famous fountain with the sculpture of Il Porcellino, a large boar bronze that is a copy of the Roman marble statue is found in the Uffizi. 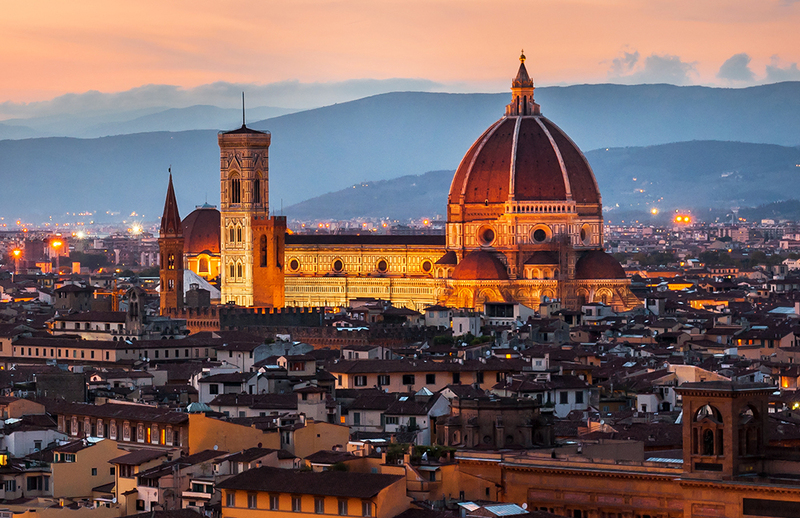 Legend has it that anyone who wishes to return to Florence someday should rub the boar's snout and drop a coin into the fountain. So if you have fallen in love with the city, you know what you have to do. LALIst: 5 paradas imprescindibles en Florencia ¡y sin gastar un euro!